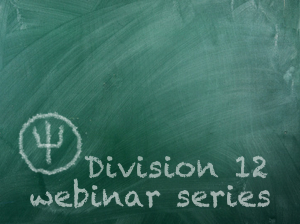 Division 12 is excited to launch a new webinar series that begins this month, July 30th, with speaker Dr. Terry Keane who will present “Recent Advances in the Assessment and Treatment of PTSD“. 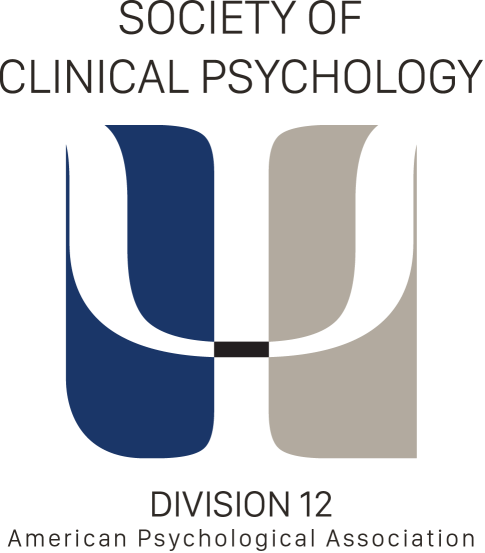 The Division 12 Continuing Education Committee, chaired by Dr. Deborah Drabick, has developed a webinar program that will alternate between continuing education topics and early career programming. Upcoming webinars include “Applying for Internship,” presented by Drs. Stephen McCutcheon, Allison Ponce, Mitch Prinstein, and Randi Streisand on September 17th, 2014, “Integrated Primary Care,” presented by Drs. Barbara Cubic and Cathy Schuman on October 7, 2014, and “Working with Older Adults,” presented by Dr. Antonette Zeiss in December 2014 (date TBA). Currently, pricing is $15 for members and $50 for non-members. Future topics will include those that dovetail with licensing requirements and that provide exceptional flexibility for D12 members towards meeting CE requirements. Within the next few months, you will receive a member survey regarding potential topics and formats for CE programming. Please let us know your thoughts – again, our goal is to provide an outstanding member benefit that is distinct from already available CE programs. We look forward to your participation and feedback as we begin and grow this new initiative.